Luxembourg is a tiny country (only 2,568 square kilometres) situated between France, Belgium, Germany. It’s a very rural country, with dense forests, deep gorges, and river valleys. The capital is Luxembourg City, where the majority of residents live. Luxembourg is a very wealthy country, and was a founding member of the EEC (later European Union). The Schengen zone, an open-border policy among some European nations, is named for the Luxembourgish village of Schengen, where the agreements were signed. Luxembourg uses the euro currency and has since 1999, when the eurozone was established. Luxembourg’s history is long and varied. Its founding dates to the 10th century and a tiny castle on a precarious edge. Over the centuries, and various rulers, the castle was rebuilt and expanded into an indefensible fortress. At different times, Luxembourg was under the leadership of the Holy Roman Emperor, the Burgundians, Bourbons, Habsburgs, Hohenzollerns, and Napoleon. Due in part to its history, its size, and its location, there are some very interesting things about Luxembourg and its citizens. For example, Luxembourg is the only Grand Duchy. They are ruled by the Grand Duke and a system of democratic government similar to the United States or United Kingdom. Nearly half of Luxembourg’s workforce commutes to work in Luxembourg from another country, namely Belgium, Germany, or France. There are 17 kilometres of underground tunnels cut out of the solid rock beneath Luxembourg city. Visitors can traverse some of these tunnels, because they make up part of The Bock and Casements. Just under half of the permanent residents in Luxembourg are foreign, most of them from Portugal or of Portuguese ancestry; the remaining percent is French, German, and other. Because of Luxembourg’s small size and proximity to multiple countries, Luxembourgers are typically tri-lingual. Many speak Luxembourgish, English, and then French or German, which are the other two national languages. Some may even speak Flemish, the language of neighbouring Belgium. 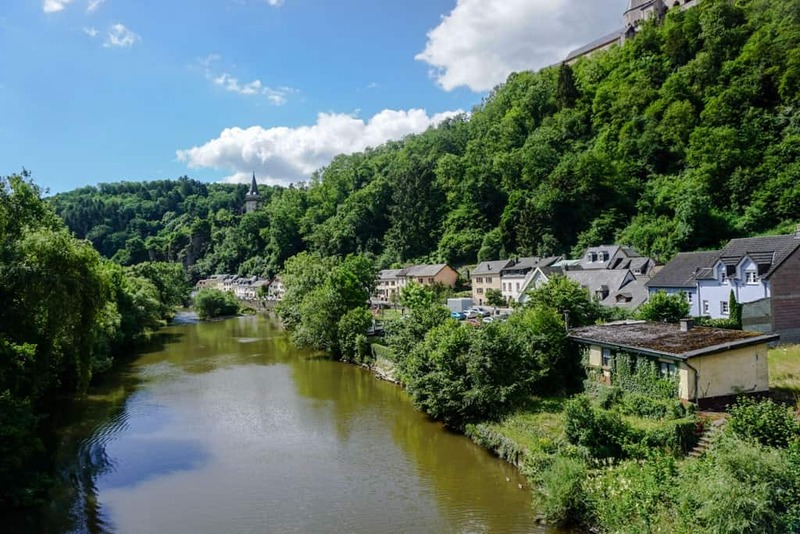 There are numerous places to visit in Luxembourg, from the fascinating Luxembourg City to the rural towns and villages with scenic viewpoints, hiking trails, and terraced vineyards. 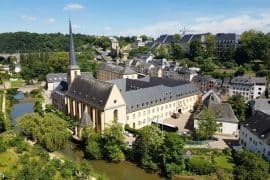 This below list will give you some ideas of the many things to do in Luxembourg. Luxembourg City is the largest city and capital of the country. 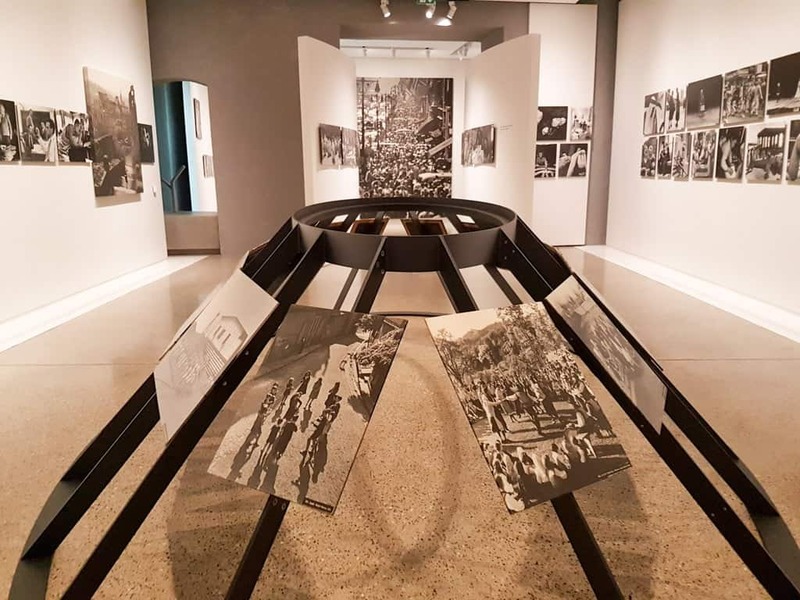 It has plenty of fun things to do, from historical attractions and scenic viewpoints to extensive art collections and archaeological finds. The city casements and bock, at the heart of the old quarter, are a unique look into the once-indefensible city. Visitors can walk through some of the old fortifications which once housed soldiers, horses, kitchens, and armories. Nearby, the Municipal Park and Fort Thungen also have some ruins of the former city. 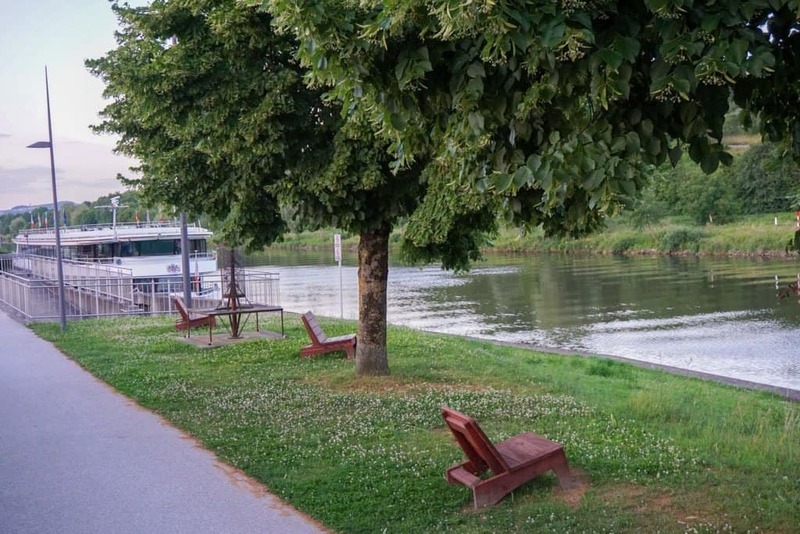 The Corniche opens up over the Grund area, which is a charming neighbourhood along the river. Its picturesque buildings and architectural heritage attract a lot of visitors to the local cafes, restaurants, and shops in the area. 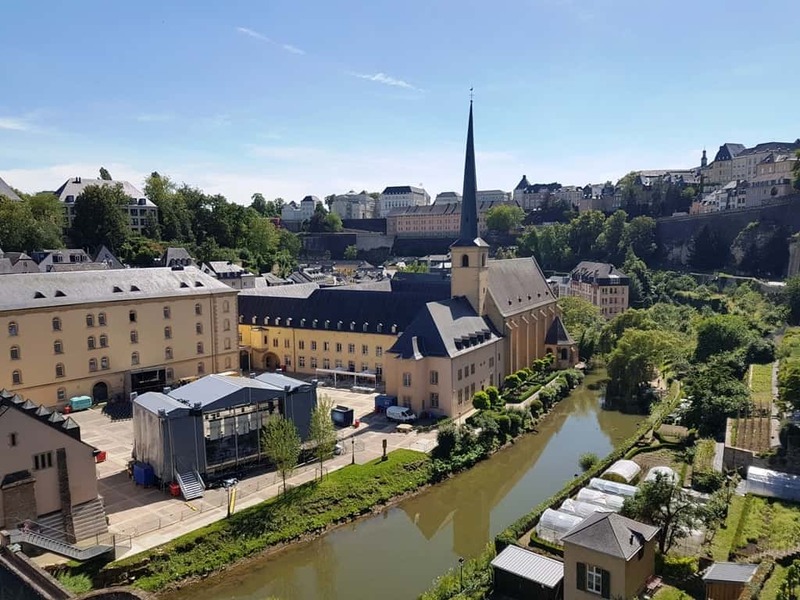 Another popular district is the Clausen district, home to great nightlife and former home of many of Luxembourg’s breweries. 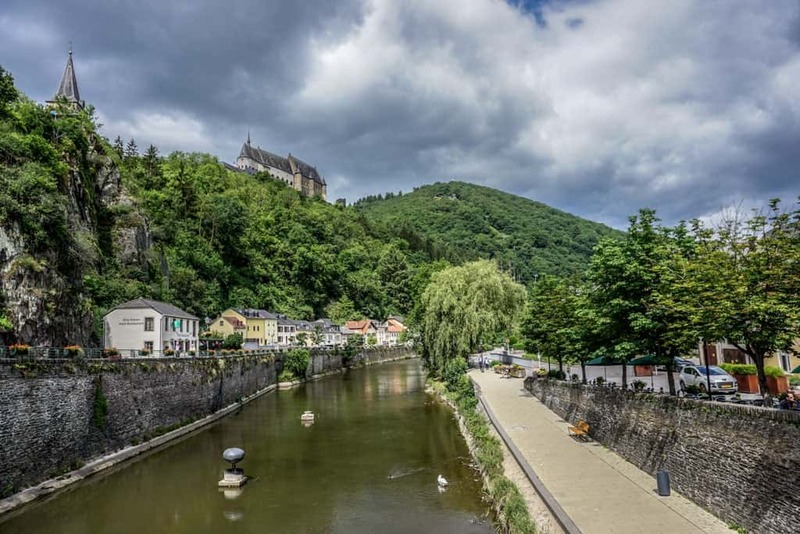 Vianden lies in Luxembourg’s northeast, along the border with Germany. 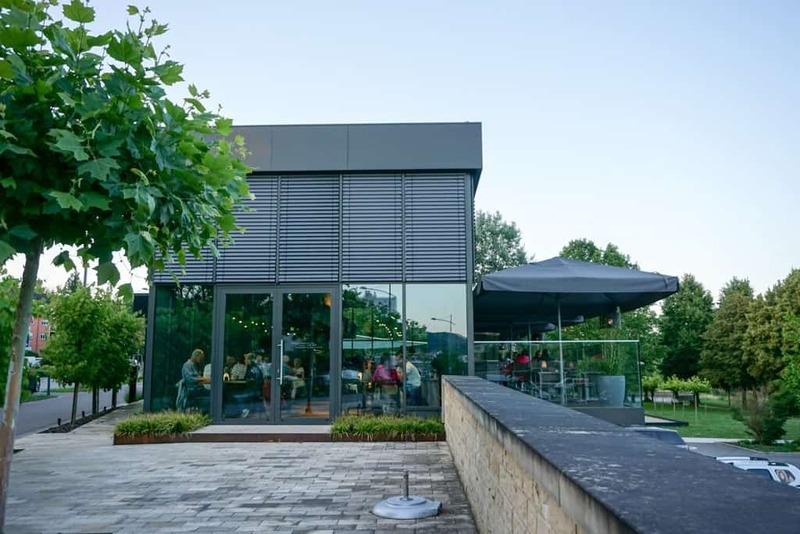 At just under 50 kilometres from Luxembourg City, it’s a very easy day trip by either car or train. 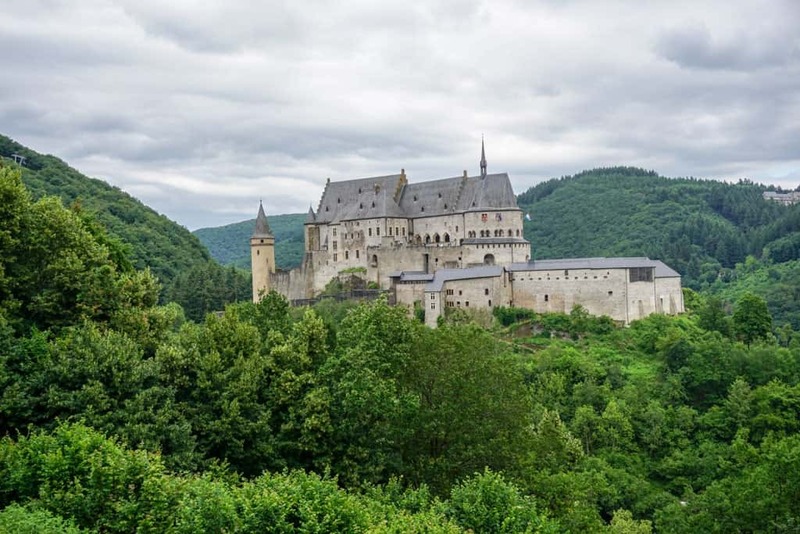 Its impressive fortress dates back to the 11th-14th centuries and was the seat of the Counts of Vianden for 400 years. 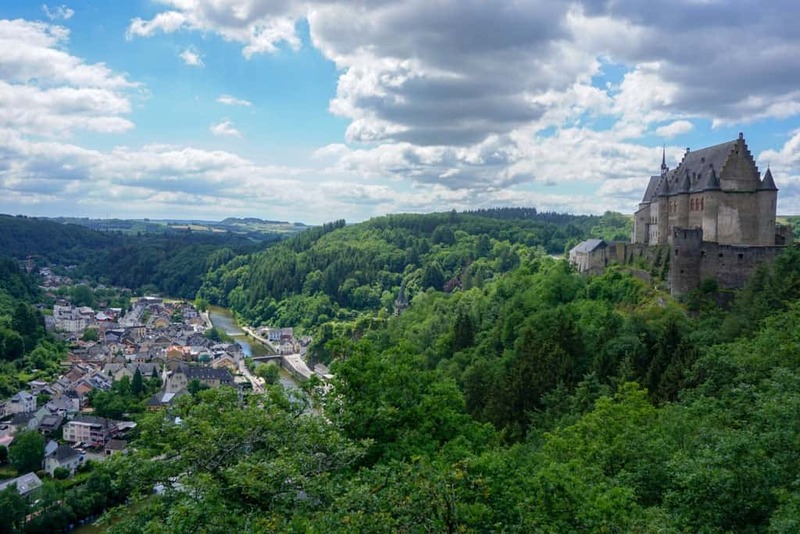 The castle was restored recently and now boasts a museum tracing the royal families of Europe and their links to Vianden. A nearby house museum displays letters and and sketches from Victor Hugo, who lived in Vianden for several months in 1871. Other monuments in the city include the castle belltower and ramparts, castle houses, and several historic churches. There is also a memorial on a hill near the castle that commemorates the liberation of the city in World War II. 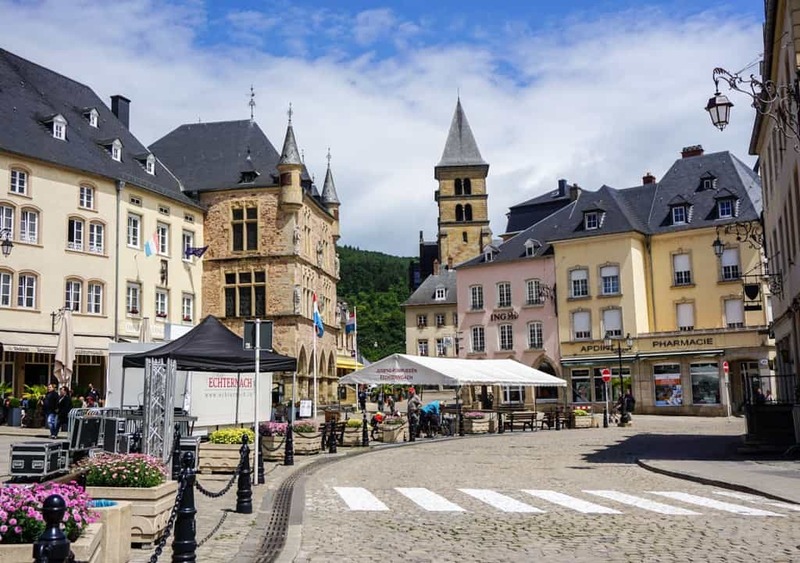 Vianden was the last city in Luxembourg liberated by the American army in 1945, following fierce battles between the Luxembourg Resistance and German/Axis forces. The town is surrounded by excellent hiking and many people come just to walk along the trails. In the summer, a chair lift takes people to high above the castle, which affords amazing views of the city from above. Echternach is a city in eastern Luxembourg, on the German border near the city of Trier. It grew around the outer walls of the Abbey, which was founded in the 7th century by a Northumbrian (modern-day England) monk. Saint Willibrord is still remembered in Echternach in festivals and dancing on Whit Tuesday. The town had royal patronage and its library and scriptorium were famous across Europe. 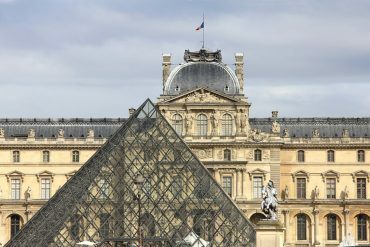 Following the French Revolution, the early manuscripts were auctioned off – some are now in Paris. The Abbey and Scriptorium still have some 11th century illuminated manuscripts. The Romanesque Basilica of St Willibrord, inside the Abbey walls, houses the saint’s tomb. Parts of the Abbey are Baroque style, having been rebuilt in the 18th century. The Orangerie was built during this time and at one point had hundreds of fruit trees in the garden. 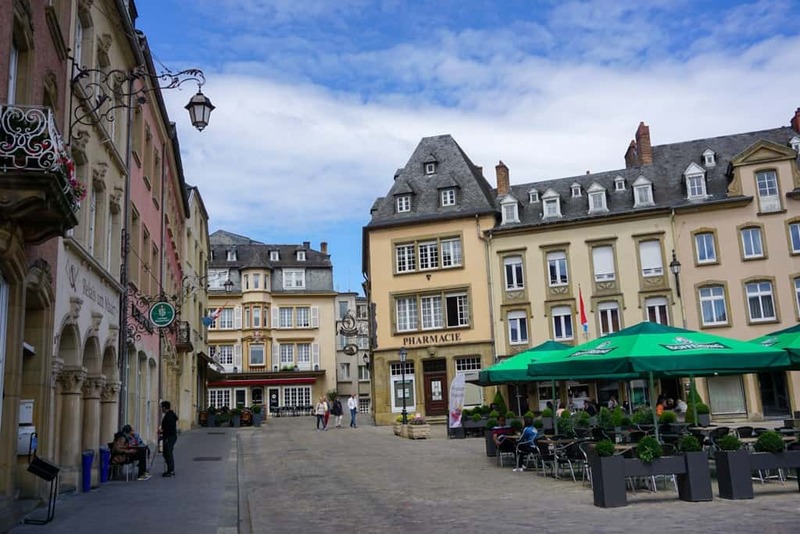 Much of the city was damaged in the Second World War, when Echternach was the southernmost point of the German forces trying to retake Antwerp in the Battle of the Bulge. The town and its medieval watchtowers have since been restored. The Schiessentümpel waterfall is located in the Mullerthall region of Luxembourg, which is south of Echternach. 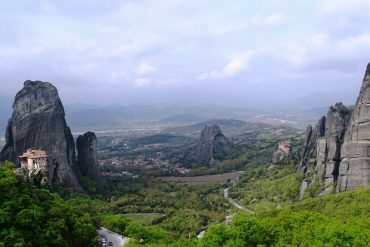 It is a very wooded, hilly region with plenty of great hiking (see below). 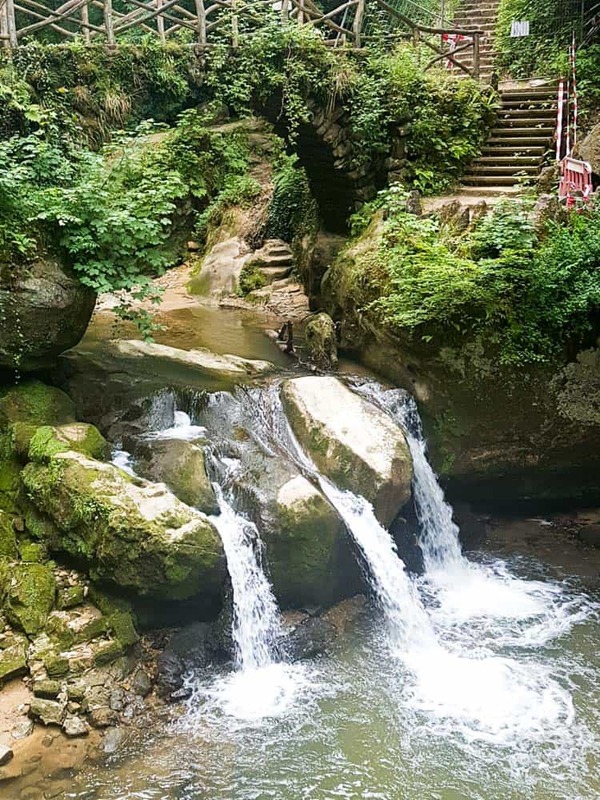 The waterfall is a popular attraction because of its picturesque stone bridge and large boulders. 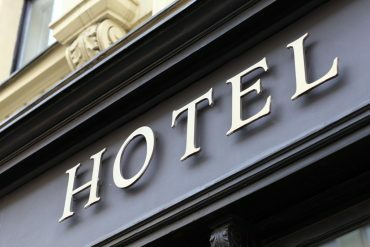 It is just a short walk from either the tourist centre in town (1km) or from a larger parking area along the main road (500m). 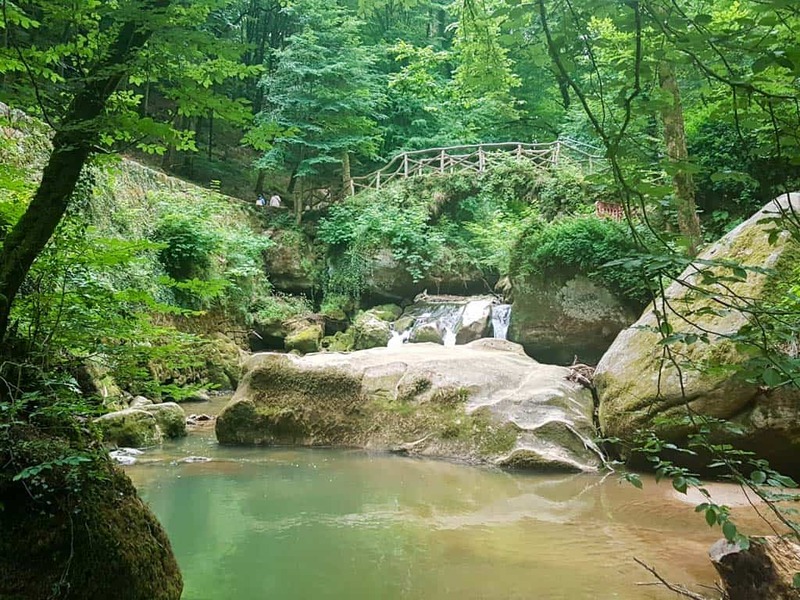 The Mullerthal region of Luxembourg is a wooded, hilly region with excellent hiking trails. It is known as Luxembourg’s Little Switzerland for its charming villages, hilly landscape, and unique rock formations. The major town of the region is Echternach (above) with its famous abbey. Most people come here for hiking. The Mullerthal trail is a 112km long trail made up for three major loops and then four extra smaller portions. 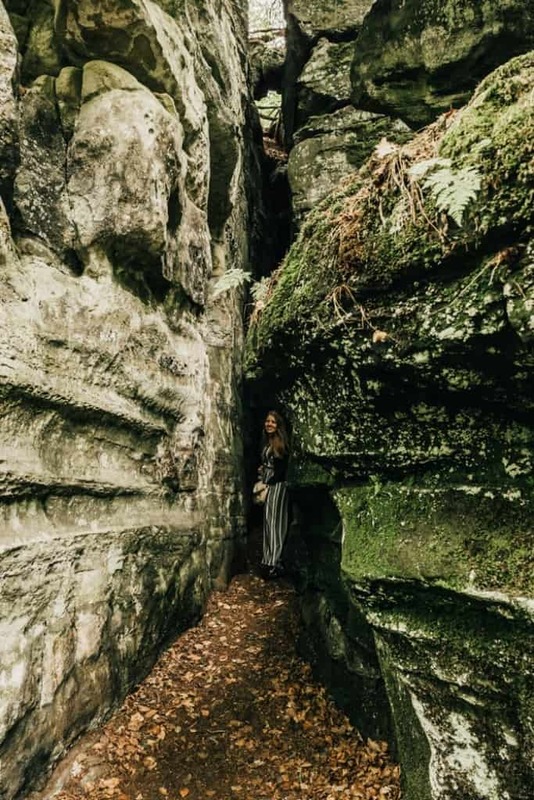 We did a four kilometre hike on the C2 route, located in Bech, which includes incredible rock formations named Goldkaul, Goldfralay, and Eulenberg. 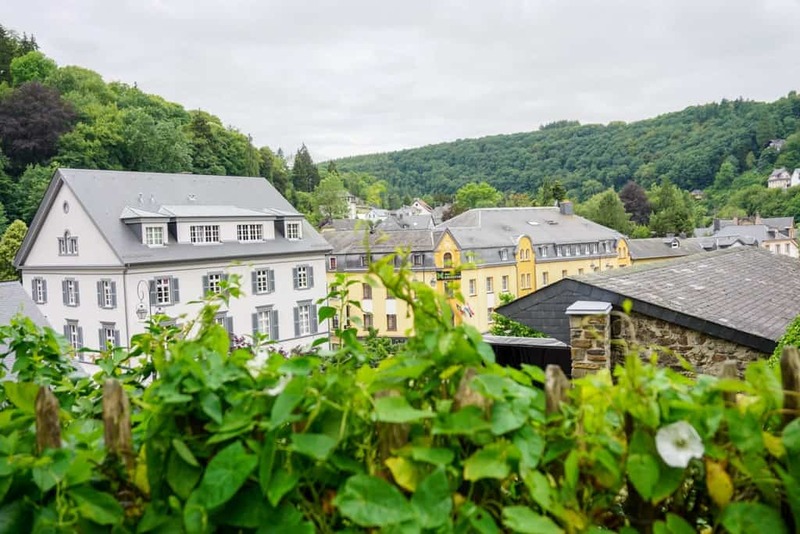 Clervaux is located in the far north of Luxembourg, along the Belgian border. It has only been a town for a little over 100 years, although the castle dates to the 12th century. 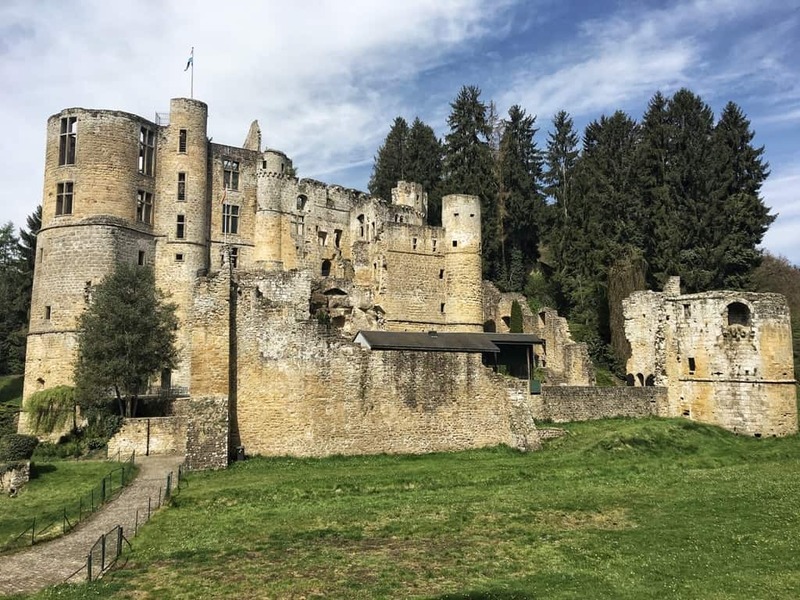 It was one of the areas in the infamous Battle of the Bulge during World War II; the castle was destroyed by fire but has since been rebuilt. 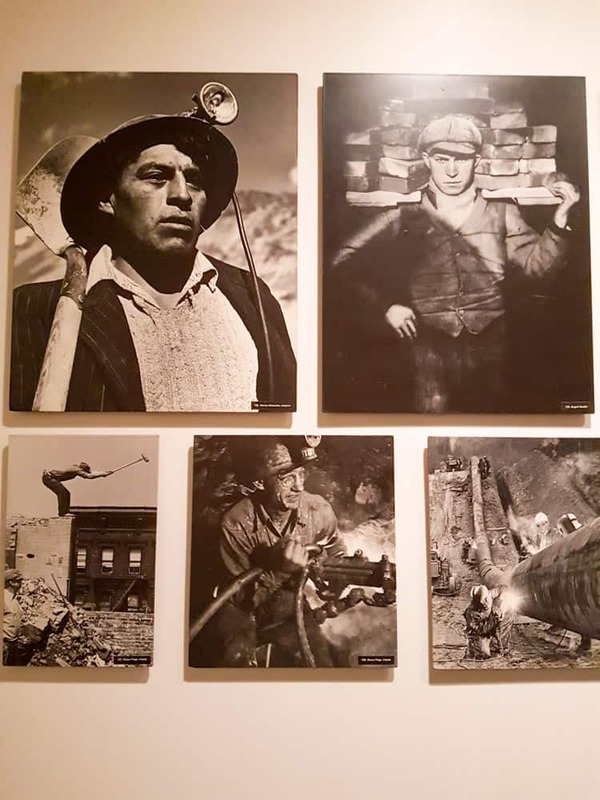 Inside Clervaux Castle there are several exhibitions on both the town and its role in the Second World War, along with a US Sherman tank and a German 88 anti-tank/anti-aircraft artillery piece. 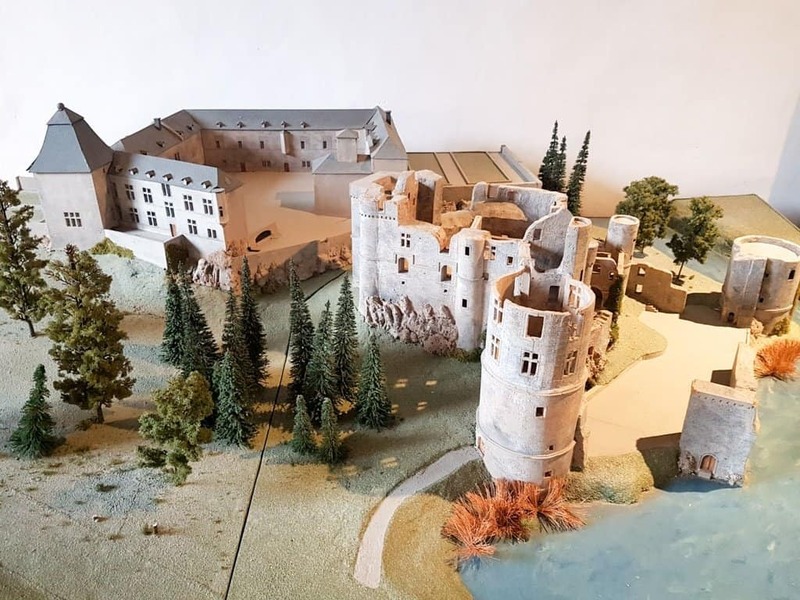 A second exhibition inside the castle display models of all the castle and palaces in Luxembourg. 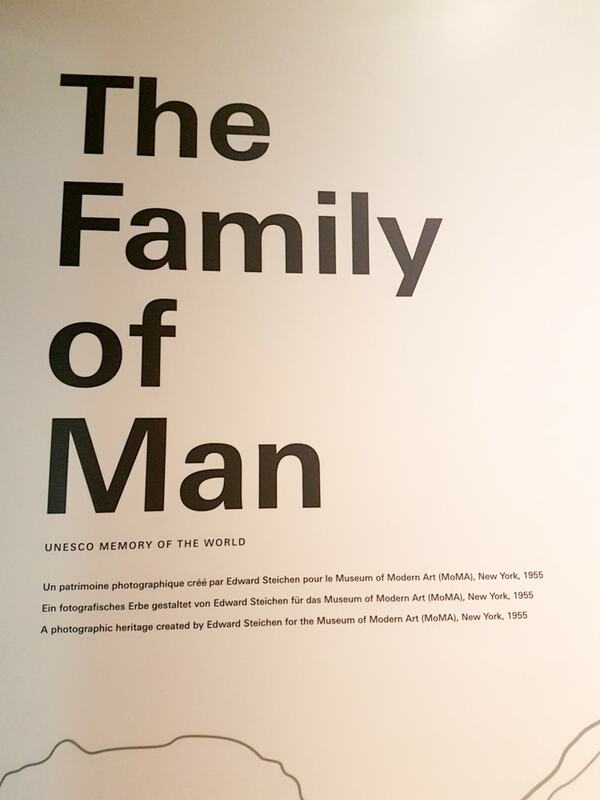 Finally, Edward Steichen’s Family of Man series is housed here. The Family of Man is a photography collection dedicated to the expression of humanity and what binds us as a collective world. 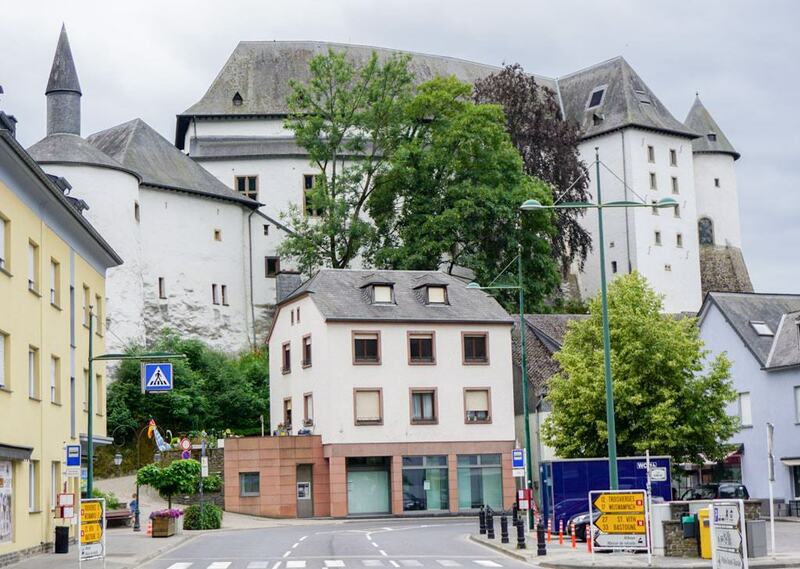 The oldest parts of Clervaux Castle date to the 12th century, while the remaining towers and large palace date to the 14th century. It sits above the town on a rocky outcrop along a bend in the River Clerve in Luxembourg’s north. The castle houses the town’s administrative offices as well as the museums listed above. The Moselle River forms the Luxembourg-German border, and is one of the world’s premiere wine regions. It is most well-known for its Riesling wines. Popular activities here include wine-tasting at Grevenmacher and visiting the wine cellar caves at Bernard-Massard. Another great option is to take a river cruise, which highlights the interesting castles along the river. We went in the late afternoon, and unfortunately the wine cellars were closed. 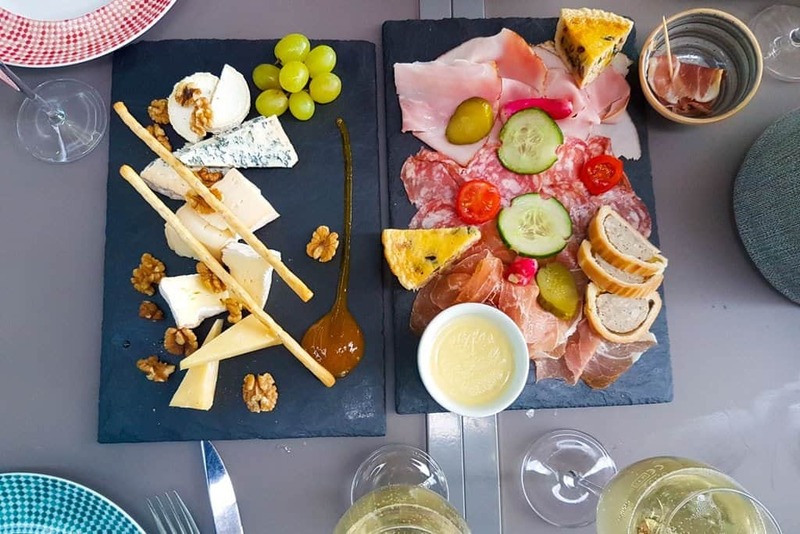 Instead, we had some local wines and cheeses at Bistro Quai, in town along the Moselle River. There are plenty of great dining options along this tourist promenade. Luxembourg, like most of northern Europe, has a lot of castles. Everyone, from counts to dukes to kings, lived in castles or palaces in their respective towns. Today, many of these castles are tourist attractions, although only five of them are open to the public as true attractions. 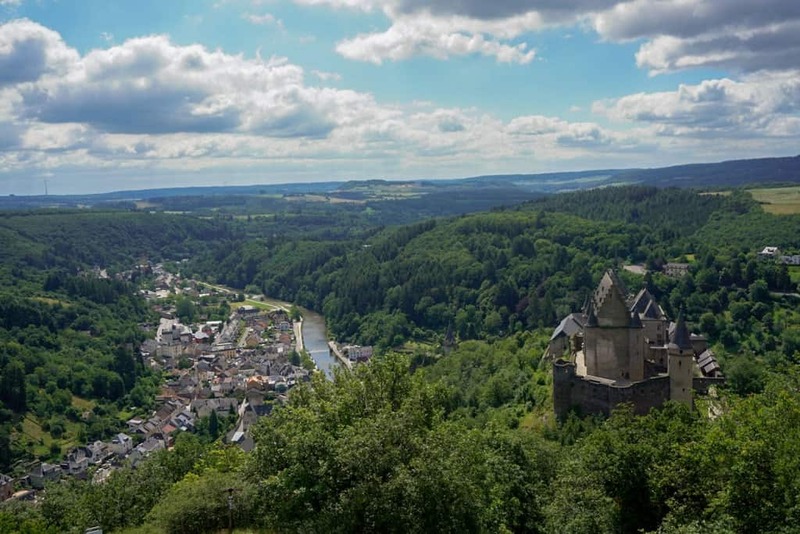 These include Vianden Castle, Beaufort Castle, Clervaux Castle, Bourglinster Castle, and Bourscheid Castle. There are also plenty of castle ruins to explore. 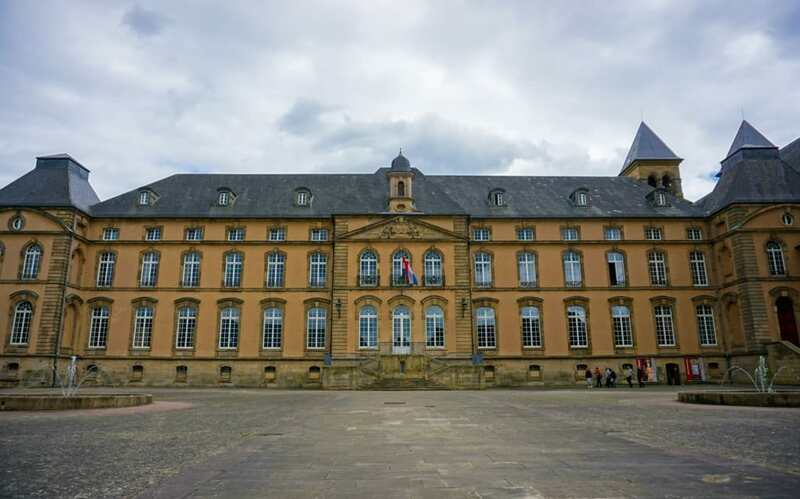 The restored castles showcase the history and heritage of Luxembourg from medieval times onward. 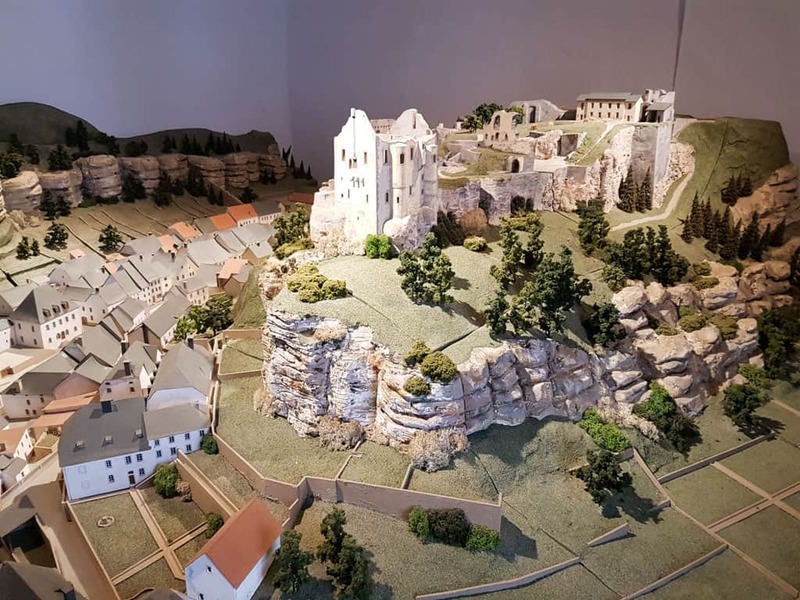 In Eisch, in the northern part of the country, avid walkers can explore the 37-km Valley of the Seven Castles, a national hiking trail that stops at seven majestic castles. It is possible to drive this if you prefer. 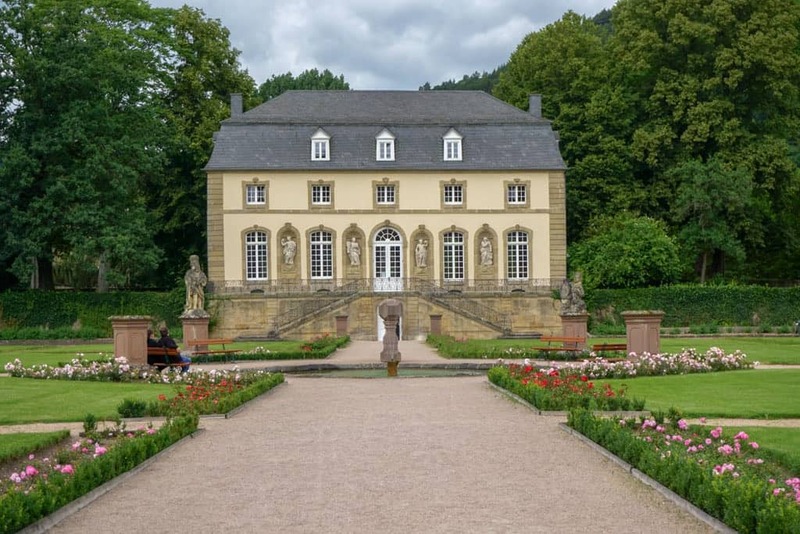 Check out some more castles in Luxembourg here. The Luxembourg Card is a very good idea for travellers wishing to see a lot during their visit to Luxembourg. 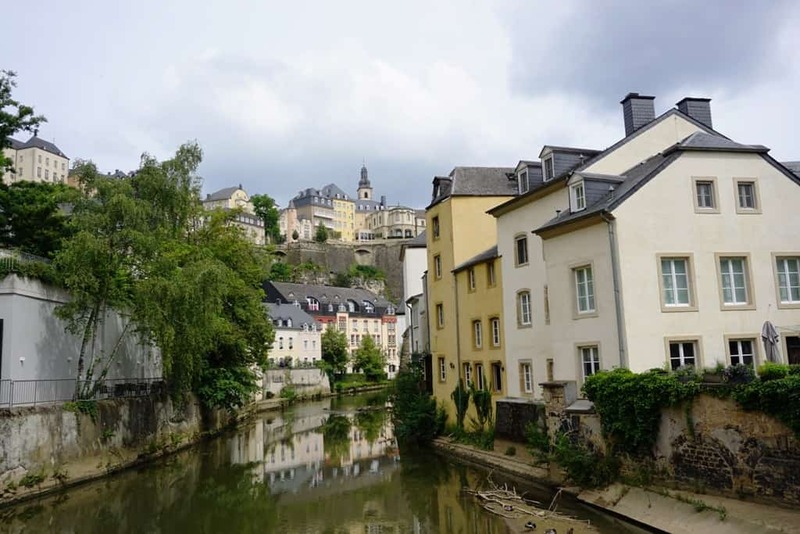 Unlike other tourist cards, it includes attractions across the country, making it perfect for those who plan to also explore some of the smaller towns in Luxembourg. Visitors can purchase either a 1, 2, or 3 day pass, which gains access to more than 60 different museums and attractions in Luxembourg. 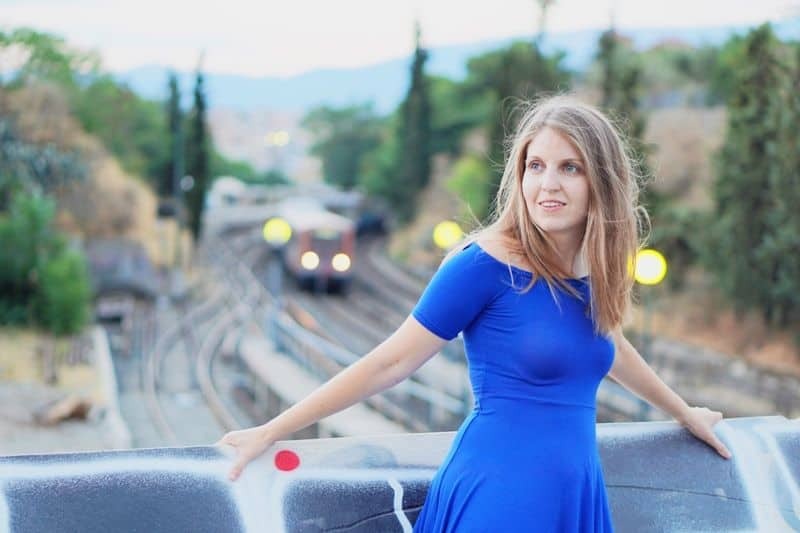 It even includes free public transportation! I really enjoyed my visit to Luxembourg. 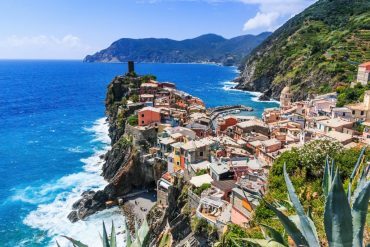 The picturesque towns and villages were interesting and historical, the food and wine were both phenomenal, and the people were very welcoming. I enjoyed visiting the museums and castles in the city and surrounding towns, as well as hiking along the trails in the Mullerthal region. 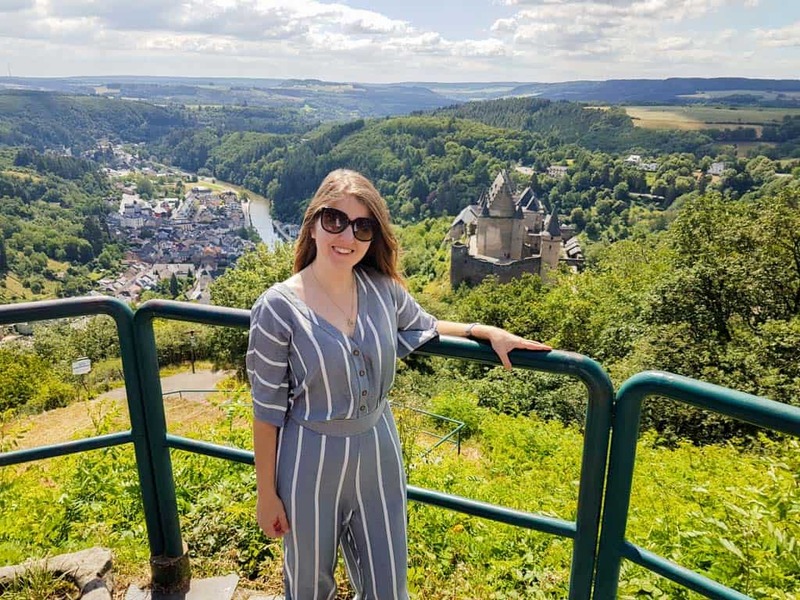 Our guides were knowledgeable and happy to share their home country with us, and I definitely recommend that Luxembourg be a stop on a European itinerary. 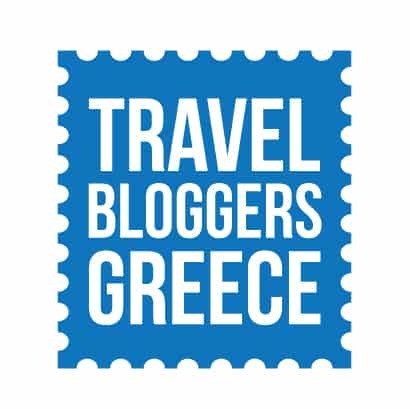 I was a guest of Visit Luxembourg but as always opinions are my own. Amazing place! Thanks for sharing!